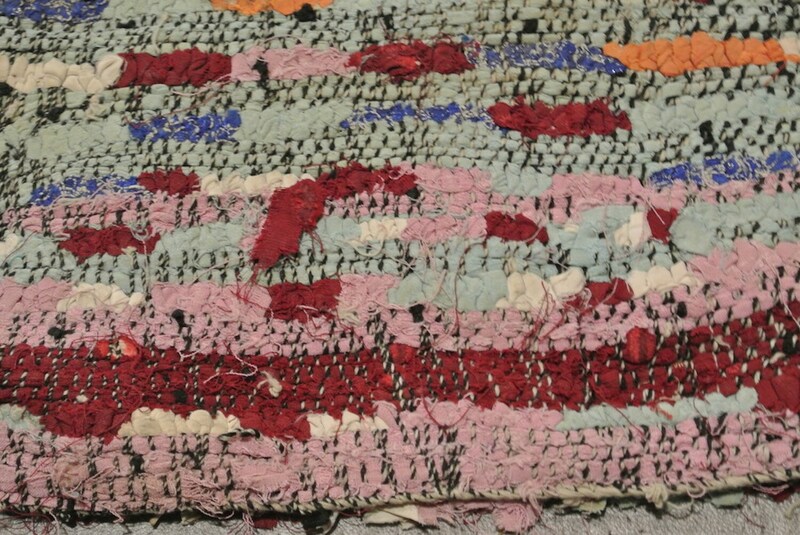 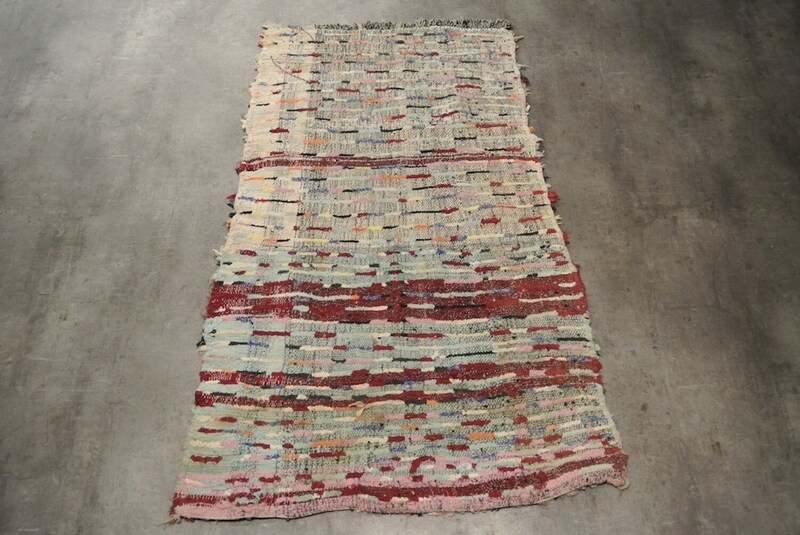 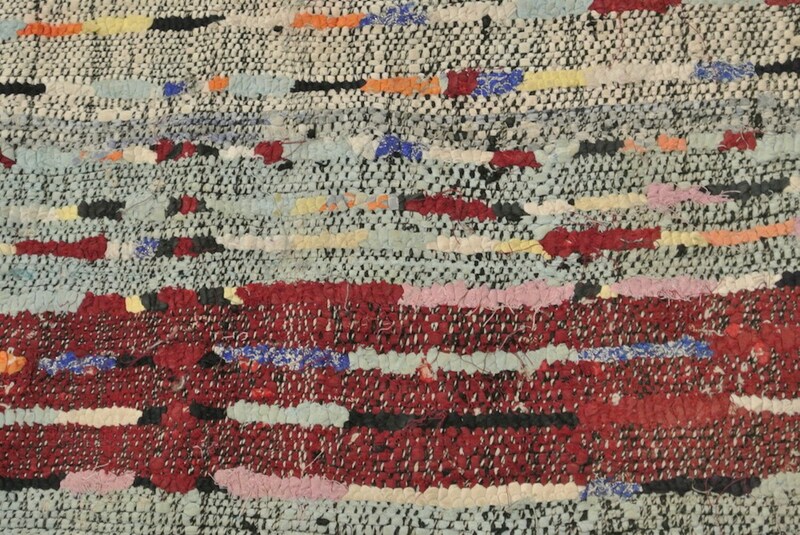 Handwoven Berber rug hand knotted with a variety of recycled textile rags creating a unique designed rug highly decorative. 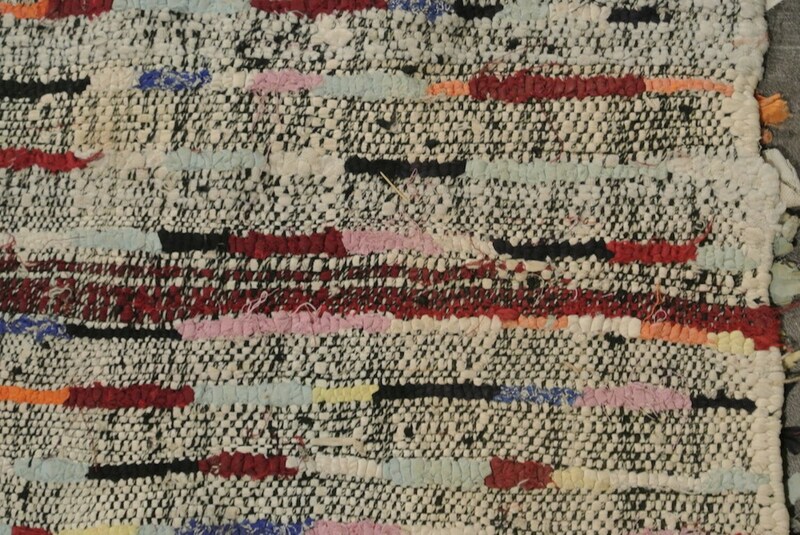 Traditional Moroccan Berber weaving, the fringes on one side are typical. 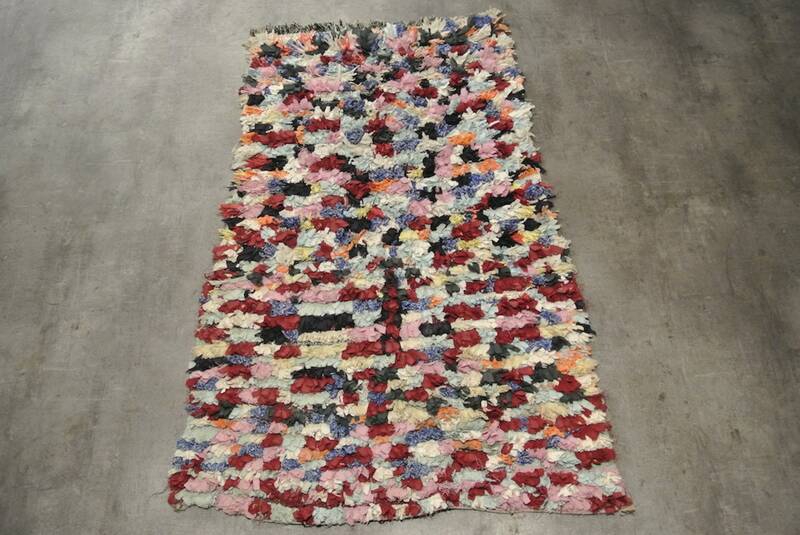 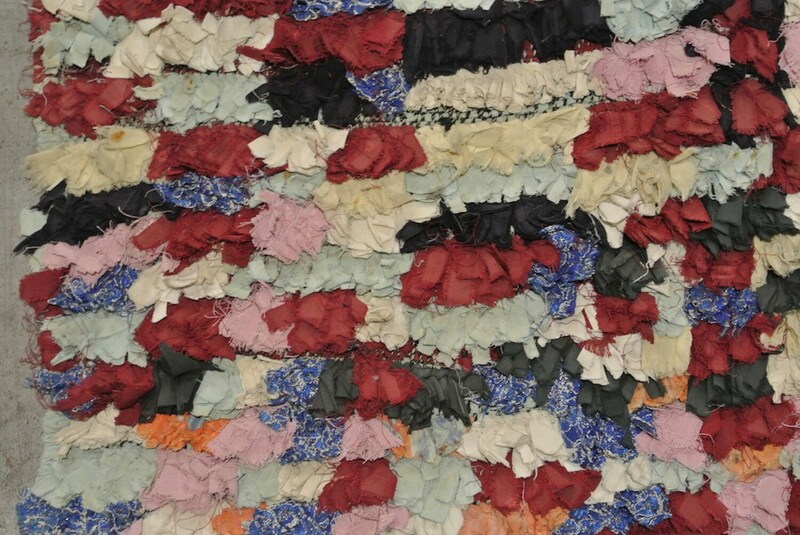 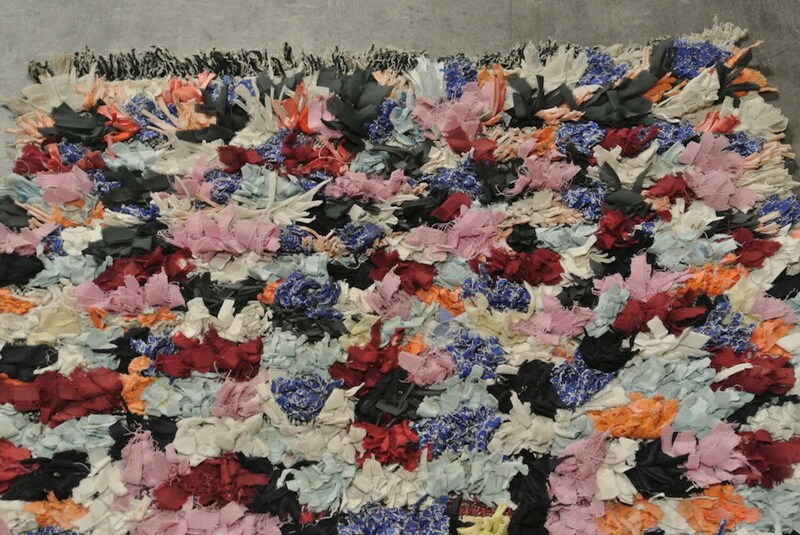 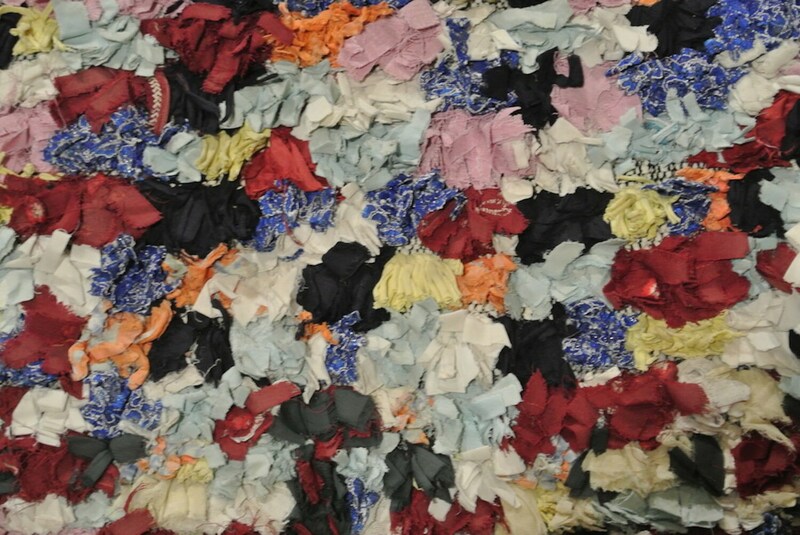 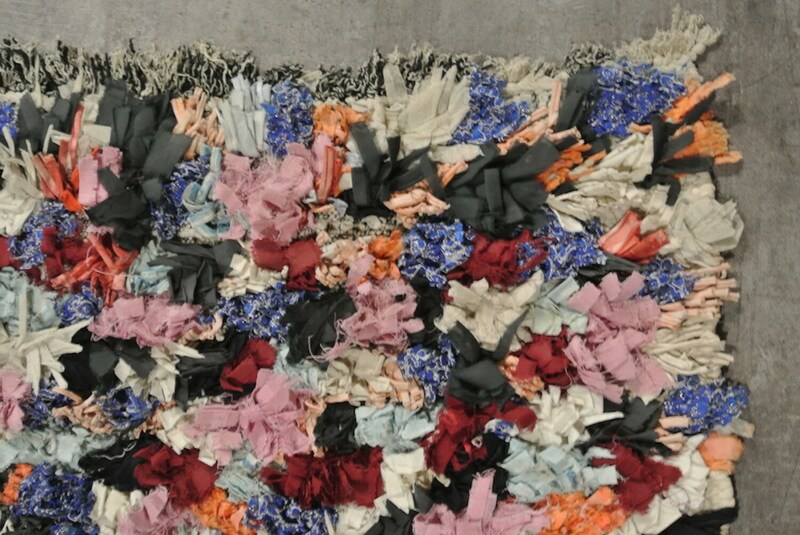 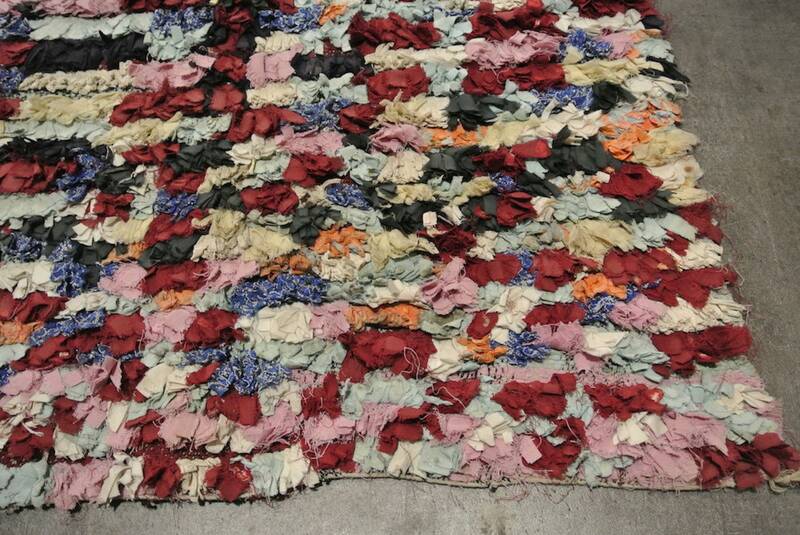 Wonderful floor covering to suit any room or use as a wall hanging !